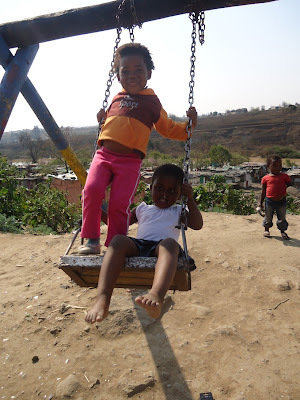 Though Apartheid ended 17 years ago, I still find that there is a deep racial divide in South Africa. Though it is not one that is institutionalized, it is one that is embedded in the culture, like in the way that we still see self-segregation a lot in the States. There are many social structures that still keep people in the position of second-class citizens, while calling them “equal” at the same time. One of the things that I find myself struggling with a lot here is this notion of white people as protectors, guiders, or suppliers for black people. 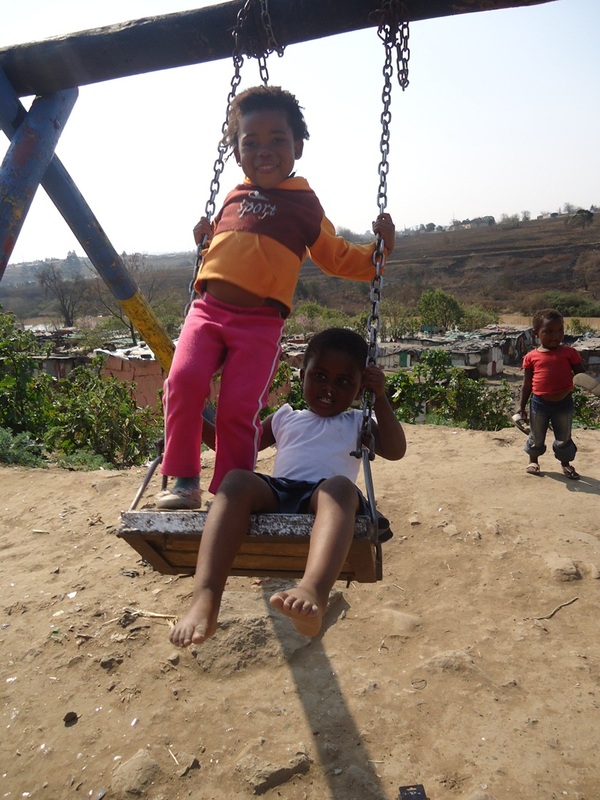 Especially in the Transkei, a white person is always assumed to be wealthy and educated, and surely, they will share what they have. And that stereotype exists for a reason. The only white people that I know that live in Mthatha are all, in some capacity, involved with/running social programs. They are here because there is need and they are wealthy and educated enough to organize and do something about it (or think they can). More than that, many of the people living here cling to these social programs because they are often the only stability people (especially children) have. This isn’t a new phenomenon or one that is restricted to South Africa either. This kind of dependency on charity and aid is one that seems to me to be widespread in lots of developing countries. More than just a subsistence dependency, it also carries along with it these undertones of unworthiness and a mindset that people will never be good enough because aren’t as rich or as intelligent. Or feelings of shame because they have to depend on someone else to provide food and clothing for their own children.These are things that have been growing in my mind for a while now, but it all kind of came to a head just before my Christmas break. 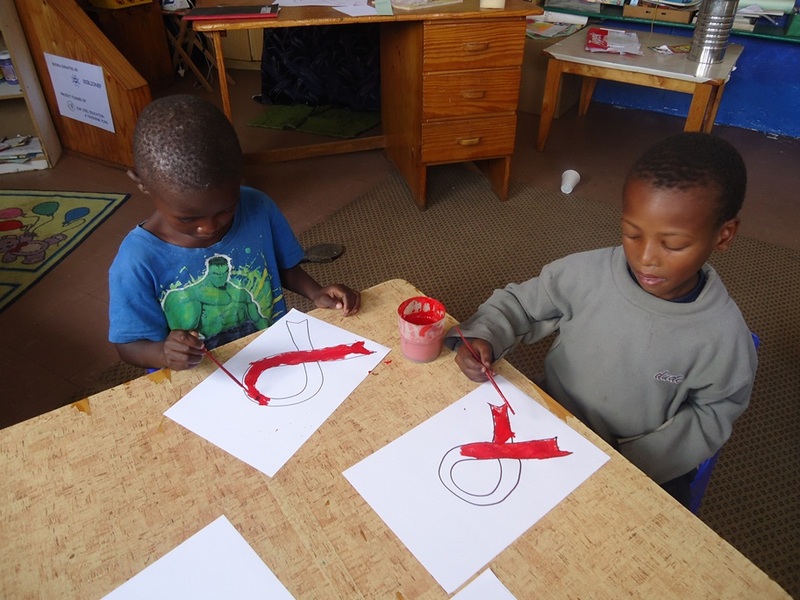 There are some of our kids from Itipini that now live in Bethany home because they’ve been taken away from their homes by social workers. One of these is a girl named Sisipho, whose mother is one of the more stable women at Itipini. I’ve seen her several times visiting Sisipho and volunteering in the baby room at Bethany and, just before our break, it was decided that Sisipho could come back to Itipini to live with her mom in a kind of trial period. I saw her when she came back, walking around with her mother and looking very cheery, and went to say hi. Sisipho instantly put out her arms for me to pick her up and I obliged. Only, when I tried to hand her back to her mom, she wouldn’t go. When I tried to put her down, she cried and followed me. When her mom took her away, she threw an absolute fit. Every single time I saw her over the next few days, it was the same story. Why? She sees her mom much more often than she sees me. When her mom goes to Bethany, she loves on her and plays with her. When I go to Bethany, I hold her down while she gets shots. This child does not really know me or like me; but I’m white. I am a young white female, just like the volunteers that work at Bethany home. I am not more kind or more loving than her mother, but I resemble the only thing she has ever known as constant and doting. Because of this, she sees me as the one that will protect and care for her even if her mother is right next to me for no other reason than the color of my skin. And that kills me. Her mother is trying really hard and doing absolutely all she can to succeed where she may have failed to begin with and yet, her child is coming to me who has not done a single thing and has not earned that affection. Every time it happened, the look on her mother’s face broke my heart. 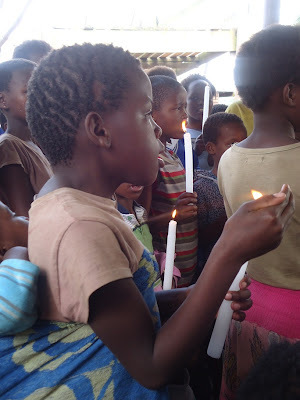 Sisipho isn’t old enough to understand or even old enough for anyone to explain it to her, but I am and her mother is. My presence alone in that situation must have made her feel so inadequate and so rejected when she is giving her best to provide for her child. What does this situation say about the mindset that is being ingrained into people here before they even know how to talk? Moreover, is my presence here adding to its power? To what extent do we help those in need and at what point does our “help” become debilitating to those it is supposed to be helping? 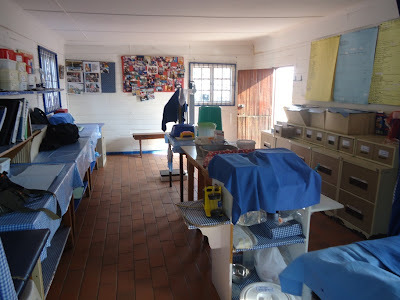 The Bedford Orthopedic Hospital (whose grounds I live on) is also an African Medical Mission project and is the only public orthopedic hospital in the Mthatha area. 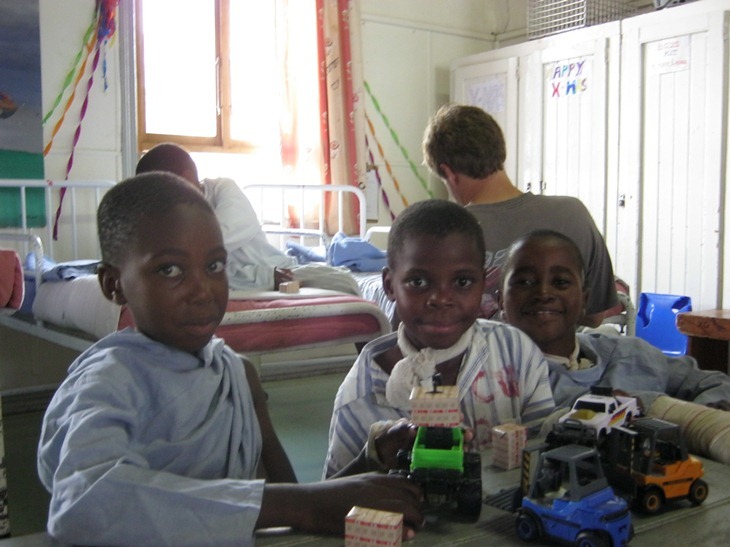 It is funded both through the government, the African Medical Mission, and donations. Beginning as a single operation room, the hospital now has a male ward, female ward, children’s ward, and spinal unit which are nearly always full and the hospital serves numerous outpatients. This has largely been done through the work of Jenny and her late husband, Chris McConnechie, whose legacy is still very alive in the Bedford community. He is buried in the graveyard here and people still talk of him all the time. Every December, Jenny carries on one of their traditions and buys presents for all of the patients that have to stay in the wards over Christmas. I had the immense honor of getting to be a part of that this year from the shopping and wrapping down to the distributing and unwrapping. 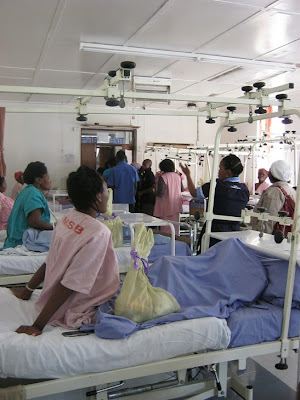 We gathered with the hospital staff and nurses, began with prayers, and made rounds through all of the wards, singing and distributing gifts as we went. 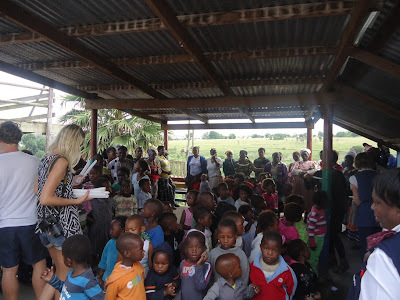 All of the kids either got a car or a doll, the men got a care-package that included a hat, soap, sugar (they’re always complaining about not having enough sugar for their tea), and other goodies, and the women got a care package similar to the men’s except with a beaded necklace instead of a hat. It was a really joyous occasion and the kids even did a small Christmas play and some traditional dancing. The best part was getting to help the kids unwrap their gifts. Most of them couldn’t manage it on their own because they all had a cast of some kind and it was a real treat to get to sit with them for a bit. Stephen, a fellow YASCer, came up for a few days from Grahamstown and got to join in the festivities as well! All in all, it was a really great and heart-warming experience and I am in ever-increasing awe of all of the work that Jenny does and the abounding love that she exudes in this place. Most importantly, get into the conversation. The longer I am here, the more I am finding grand meanings in small things. Small gestures, small objects; Everything is symbolic of something and has more depth than meets the eye. Maybe this is the Xhosa culture sinking into me where lots of things are unspoken and silence can mean more than words. Or maybe it's a manifestation of my missing home. Maybe both. Before I left home, my church family at St. Dunstan's gave me a really warm send-off and I was presented with a necklace from my mom that the priest had blessed. This necklace is one that I have seen my mother wear for years. She has had it for as long as I can remember. Now it has been handed over to me and is halfway around the world. This necklace is a small object that is ever-evolving into new meanings for me. 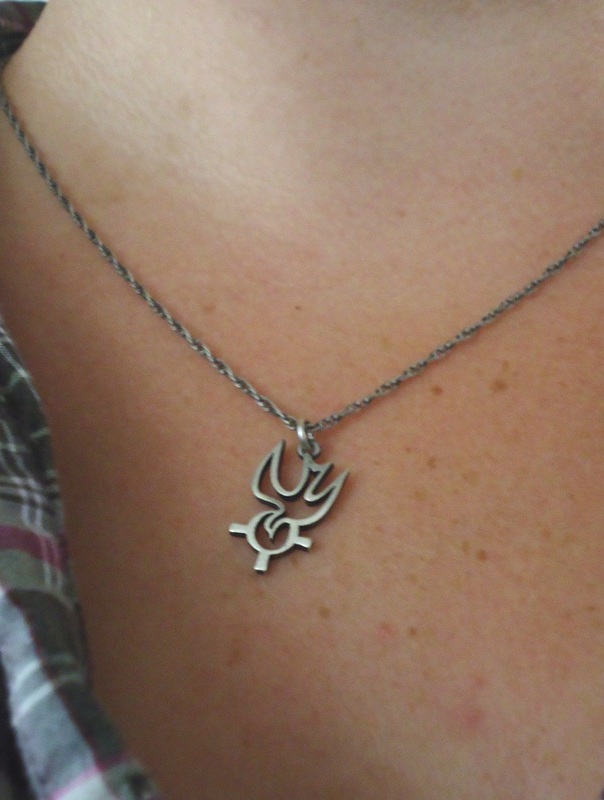 I wear my mother's necklace and I feel her with me. I feel her history, my history, St. Dunstan's history, my family's history, my childhood, my becoming an adult. This necklace is not a piece of jewelry. It's an inheritance, an heirloom. This necklace is strength. It is the strenth of my mother. It is the strength of my family, my roots, and all we've been through together. It is the strength of my church community and all that they have meant to me, done for me, taught me, and how I have grown in that place. It is a sign of my faith and my belief that there is something that binds us togther, my belief that peace and understanding can prevail. This necklace is my talisman. It reminds me of who I am, where I come from, what I believe. And it guides to tomorrow. This is not a necklace. One of the Mamas hanging out with the babies. 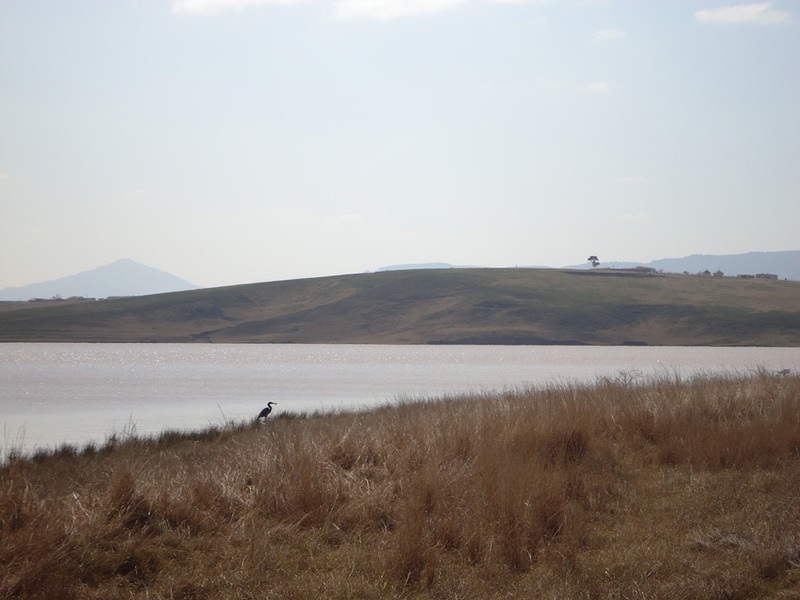 “Amanzi” is the Xhosa word for water and, in South Africa, as in many places in the world, water and access to water are big issues. It’s easy to take for granted something that is always running from the tap, is easily accessible and, most times, drinkable. In the US, restaurants and many other places even give out water for free! It’s not something you have to consciously think about in the US; water is something that is expected and it’s always there. 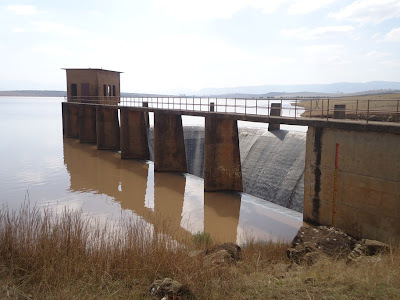 I thought I’d share a few of my experiences with water in South Africa so far. However, it is easy for me to say that as a mere resident here. If I go a few days without washing dishes, flushing a toilet, or bathing, it’s not a big deal. If I have to use rain water for all of the above, it’s not a big deal. 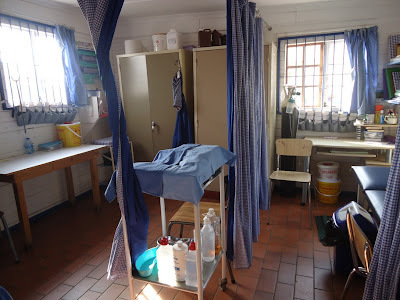 But when you’re talking about an orthopedic hospital whose main function is surgeries trying to function without clean water (because they can’t use rain water), the situation is reaching a critical point. There are so many factors that go into why there is a shortage of water that it seems impossible to pinpoint which one is at fault or what the solution should be. Better managed water at the municipal level doesn’t do any good if there isn’t any water to manage, rivers will continue to be polluted without a wide-spread funding/construction of sewage lines/purification plants, and people will continue to use whatever water they can find whether it’s detrimental to their health (and the health of their children) or not because they have to. All of these issues, like I said at the beginning, are not confined to South Africa and are prevalent in most parts of the world. Our well-ordered sewage and water treatment system in the US is among the exceptions. So here’s my challenge to all of you: try and use less water than usual this week; take shorter showers, flush less, don’t wash clothes that don’t need to be washed, etc. Be conscious of the resource you are using and how lucky you are to have it. At our orientation in Toronto, a lot of what was talked about in reference to what it’s like to live in other cultures seemed so distant to me at times. Those kinds of things were only conceptual to me and I couldn’t really grasp them. I couldn’t attach anything concrete and sometimes found myself lost. Now that I am here, six weeks in, I keep finding myself going back to some of those things that were said. All of these little things that I just kind of glazed over in training keep coming back to me. I keep having these moments where I think, “Oooh… so this is what they were talking about.” Today, I had a moment like that. I had dinner at Jenny’s house tonight with Jenny, Fr. 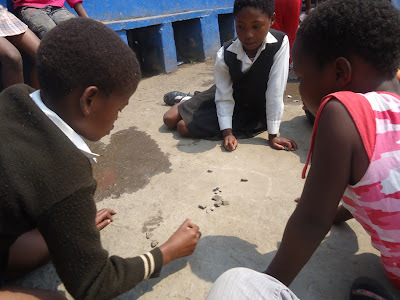 Cass (a Catholic priest that came to South Africa in the late 60’s to fight Apartheid), and a woman named Victoria who is from New Zealand and has been here doing work with children’s homes and children’s rights. 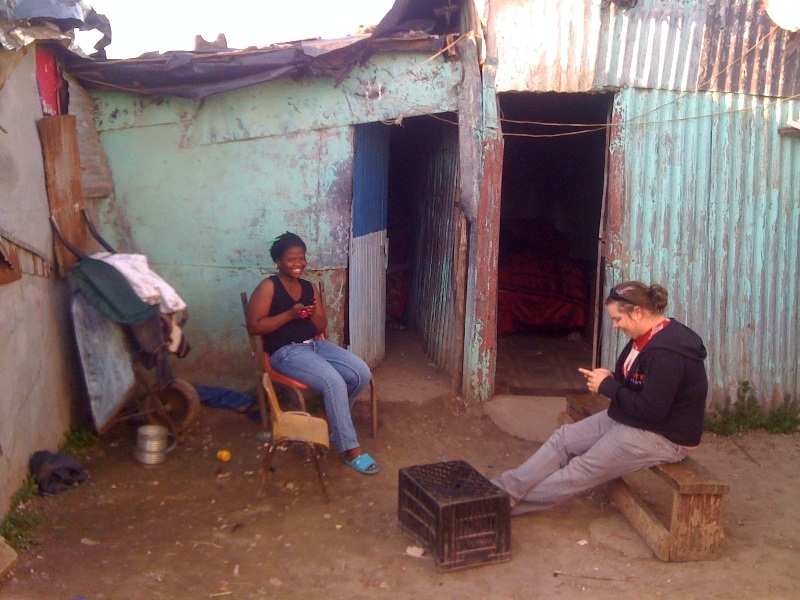 At one point, we were all sharing our favorite “South African-isms” and Fr. Cass said that living in South Africa is like catching malaria – there’s no cure and you will find yourself relapsing for the rest of your life. He said that there’s something about this place that will never let go of you and always pulls you back. It got me thinking about how fond I’ve already grown of this place. At training, it was said that when you spend even two weeks in a foreign culture, you are irreparably changed. Never having been outside of the United States/Canada, I didn’t know what this meant at the time, but now I think I understand. South Africa is no longer a concept to me. It’s no longer some foreign place that I’ve only read about in books. Africa is no longer just that continent across the Atlantic. This culture and this language are no longer “other” from me. This is real. I know this place and I know these people. It is and they are a part of me now. If I left today, after only 6 weeks, my life is changed. What will the next 46 bring? 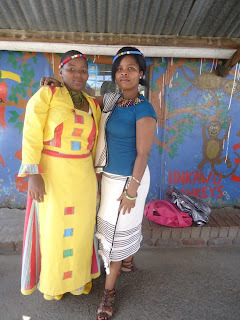 This week at the Project, we celebrated Heritage Day! Heritage Day is a national holiday that celebrates the array of different peoples that make up South Africa. It celebrates the importance of all South Africans in the development and culture of the country as a whole. 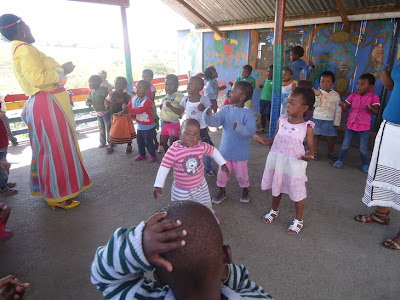 At Itipni, everyone showed up in their traditional dress, our morning singing was especially exuberant, and the preschoolers spent most of the day dancing and singing! Jenny even brought me a couple traditional items to wear and Masakude did my make up! Everyone got a big kick out of it. The whole community was alive and buzzing and I don’t think I saw a single frown all day! After two weeks of learning to drive stick and still feeling very amateur, these two words taught me the entire concept of how to drive a manual car. Two days ago, when I was set with the task of driving in town by myself for the first time to take some patients to other hospitals, I squealed the tires more times than I could count and stalled out twice in the stop and go traffic. After our stop at Mthatha General Hospital, a man named Mthetheleli Mbeseli, who was riding in the back, got into the front seat and began guiding my driving. He spoke very little English and just said the words “slow clutch,” the next time I had to start moving again. He repeated it again anytime I shifted. And with the simplicity of that statement, the entire concept came clear to me. Voila! Now I feel very confident in my ability to drive a stick. I even kept myself in place on a hill today only using the clutch and gas – no break! Who knew that someone who has probably never owned a car and speaks a language that I am struggling to learn could teach me, in two words, how to drive. After he said that to me and we were all cruising right along, we even simultaneously pleaded with a stoplight to turn green, he in Xhosa and me in English, and the whole car cheered together when it did. That trek began as terrifying one but ended joyously because of two words, a helping hand, and a spirit of camaraderie. More than anything, though, it has made me think about the power of simplicity and how so much can often be revealed in so few words. When something is said simply and clearly, there isn’t any room left for confusion. 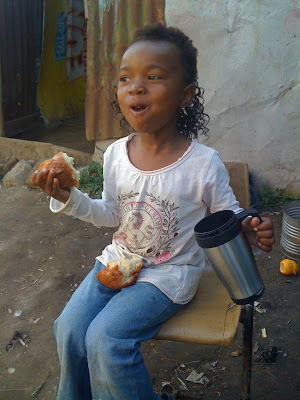 “Ndifuna isonka” means “I want bread” in Xhosa and there’s no mistaking what it means when a child says it. Furthermore, we use the simplest phrases for the things with the most meaning in our lives. “Be safe,” “I love you,” and “I miss you,” are a few that come to mind presently. It makes me wonder if it is because of the depth of these statements that we keep them short and have faith that the rest is inherently implied. We say very little because the meaning is not in our words, but in our relationships with each other. The same is true in this story. The words “slow clutch” revealed not only the concept of driving standard to me, but also revealed an acceptance and an understanding from the Itipini people that were in my truck. That acceptance and understanding is worth more than I have words for. 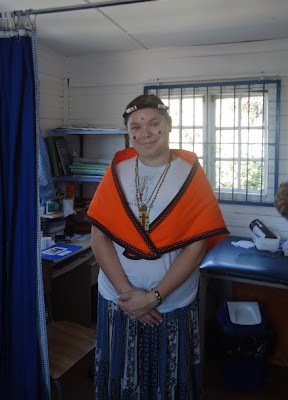 It has made me feel like I will be able to find a place for myself within this community and has affirmed to me that the people at Itipini have more to teach me than I know. Today, I drove in town for the first time on a weekday. Driving in Mthatha is unexplainable. You really have to experience it to know what I mean. It wouldn’t be a normal day if at least one stoplight (they’re called Robots here) were not out. Cross walks are optional and people generally don’t take the option. Pot holes are everywhere. 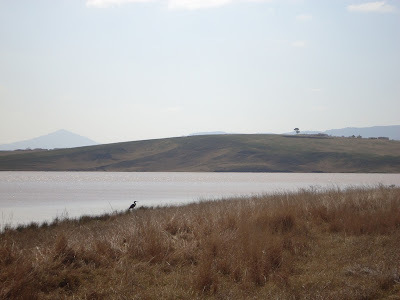 There are the “Transkei Big Five” wandering about and sometimes in the road – that’s cows, horses, goats, sheep, and dogs. As well, what could be considered “reckless driving” in the States is generally the norm here. People here say that if you can drive in Mthatha, you can drive anywhere, but I think that if I drove in Oklahoma the way I do here, I would be pulled over on suspicion of DUI. It’s kind of like playing Frogger, but in real life. Some days, it can be made into a game like “Dodge the Potholes” or “How Many People are in the Taxi that Just Cut Me Off,” and sometimes, it is just nerve-wracking. Especially for someone just learning how to drive stick on the left side of the road! I think I’m starting to get the hang of it though and the women that I drive to and from Itipini everyday are really nice about it. I stalled out at a four-way stop today and they just said, “It’s okay, Karen. Just take it slow. You got it.” I’ve found that having driving music is also a must. Something to keep you groovin, moving along, and calm is key to not losing your mind. Yup... I drive a truck these days. This weekend was full of adventure! 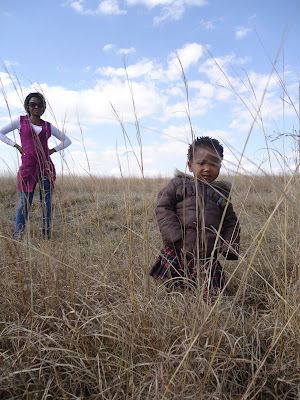 On Saturday, Sarah and I went to the Mthatha Dam and a nature reserve with her friend Sim and Sim’s daughter, Asiko. It was a beautiful day and, though we didn’t see too many animals (aside from some very distant Zebra and Hartebeests), it was nice to walk around and enjoy the breeze and each other’s company. That night, we went to Jenny’s house to watch the Springboks rugby game with Jenny and Adam. I can’t say I’ve ever watched a rugby match before and it was thoroughly entertaining. On Sunday, we went to church at St. Joseph’s Catholic Church where the preacher is a really eccentric French-Canadian. It was a small community that was very welcoming. I also got recruited to play guitar with them starting next Sunday! Talk about a community with arms wide open. Later on Sunday evening, we went to hang out at Weemama’s house and I got to try my first amagwina! It’s a traditional South African food that’s essentially really dense fried bread. It was delicious! This morning was a little tough. When we arrived at the clinic, there was someone wrapped in a blanket lying outside the clinic doors on the concrete. My first thought was that they may be dead and I had a minor panic. It turned out that she was okay, just in a lot of pain. We helped her up and took her to sick bay where she could lay down while we waited on Jenny to get there. It turns out this particular woman had nothing but a slight fever and is a kind of known hypochondriac at the clinic, but Sarah was telling me how she had been to the funeral of a good friend this past weekend. I suspect that maybe she was just a little overwhelmed from that and all she wanted was some TLC. Sometimes that happens, though. Sometimes it just feels good to be taken care of - it’s a reassuring feeling that reminds you that, even in the midst of tragedy or sickness, love and tenderness are still present. And I am glad that we could provide that to her. Looking across the lake at the nature reserve. Sim and her daughter, Asiko. Someone stole the last of my amangwina! Doing laundry on a sunny Sunday afternoon. Trading cell numbers with Nonzuzo. 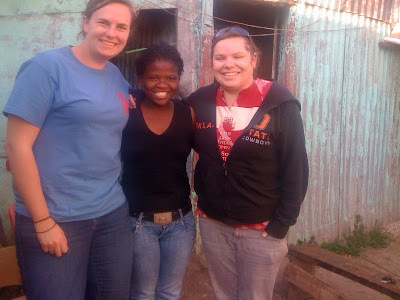 Sarah, Nonzuzo, and myself at Weemama's house! ...and a view back the other way! There are ALWAYS kids playing on the swingset. It's never empty! It occurred to me that the name of this place may need a little clarification. Mthatha was Umtata (a more British, phonetic spelling) for many years and the more indigenous spelling was reclaimed after apartheid. I believe that’s the long and short of it, anyway. So, if you’re wondering how to pronounce it, the answer is: oom-ta-ta with the stress on the second syllable. Last night, I got to go to Jenny’s house for dinner. 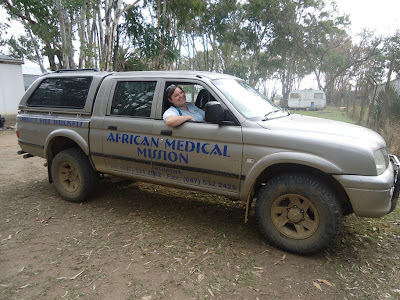 Jenny McConnehie is the woman who runs the clinic and who founded the African Medical Mission with her late husband, Chris. She is absolutely wonderful. She cooked us a fabulous dinner and let me use her hot shower! A young man from Durban named Adam also joined us. He is going to medical school here in Mthatha and is absolutely hilarious. He also hooked us up with some bananas that someone he knew was trying to get rid of. So, this morning, Sarah and I went to pick up said bananas to take to iTipini. We were expecting maybe 3-5 crates and arrived to find about 20-30! We filled up the back of the pick-up and got our upper body strength work-out for the day. We gave away a ton of bananas at iTipini today and still had many more left. Tomorrow we will give them out with our weekly care packages for HIV patients and give whatever is left to the preschoolers. Tomorrow is also the day that we do tutoring for high school students in the afternoon, so I will get to embark on that adventure soon! Then the teacher says, “Open your eyes,” to which all of the children reply in unison, “I am opening my eyes…” WOW. I am going to try and get a recording of it, because I feel like I can’t convey how powerful that closing is. “I am opening my eyes…” they all say together. The way they say the prayer as well is incredibly fascinating as it’s full of all kinds of inflections that we normally wouldn’t put on different words or phrases. Sadly, I don’t have any pictures of iTipini for you yet, but I will. I feel like I need to get a little bit more settled into and familiar with the community before I break out a camera and start taking pictures of people. I want to build some relationship and trust there first. BUT – soon. I will post pictures of iTipini soon. I have arrived! After spending a short night in Johannesburg, I hopped on a short plane ride to Mthatha this morning where Sarah met me. Sarah Cardwell is the YASC volunteer who is preceding me here and we have two weeks of overlap time! She is great. 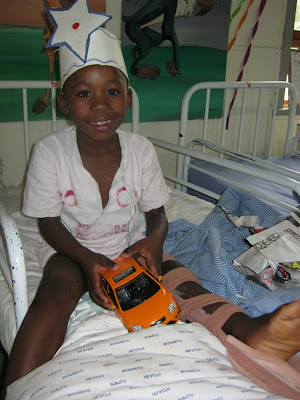 After coming to the Bedford Hospital to drop off my stuff, we went straight on to iTipini for a day at the clinic. 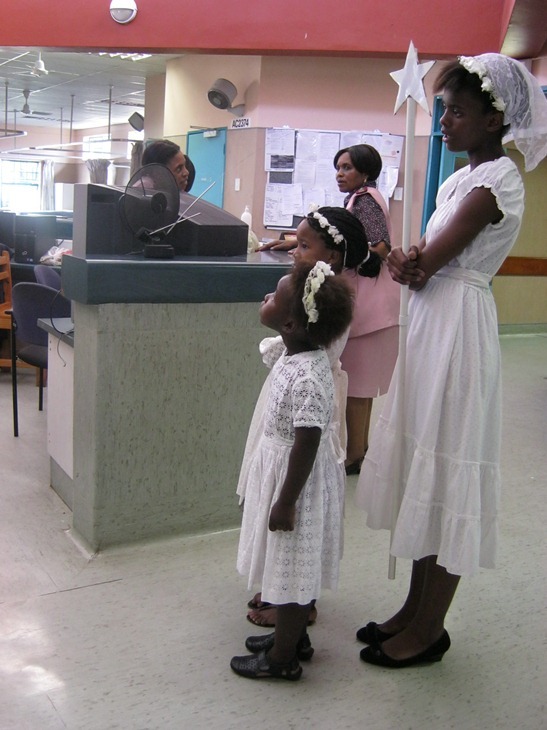 Tuesday is “baby day” at the clinic and mothers are encouraged to bring in their infants for wellness checks and free baby formula. I was still very glad to see that many of the women who came in to receive free formula were also still breast-feeding as well. Most of the day, I took on menial tasks to keep my hands busy while I sat back and observed a little. I spent the day spooning wintergreen salve into individual containers, recording patient logs, counting pills, and making “MVT Cocktails” (a mix of multi-vitamins) that we give to all of our HIV patients and anyone that could just use a little boost. Sounds pretty simple for a first day, huh? However, being in iTipini today was overwhelming. Small, mindless tasks were about all I could handle. I can’t convey to you the difference between seeing pictures or reading about extreme poverty and walking straight into it. Something about being able to physically touch it makes that level of poverty something real and tangible. No matter what I do or where I am for the rest of my life, I won’t be able to deny in any way that people still live like this in the 21st century. And not just here either. 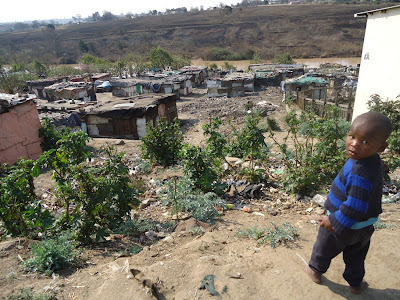 Shanty-towns and refugee camps are a widespread phenomenon. Why is this level of poverty still allowed to exist? Is it apathy from outside parties, lack of resources, oppression by systems of government and trade, or something else? I don’t know the answer to that, but I do know this: Being in iTipini today is making my night a very enjoyable one. My electricity keeps going on and off, I don’t have any water (and haven’t showered in 3 days), it is very cold here, and birds, roosters, and barking dogs are making it near impossible to sleep. 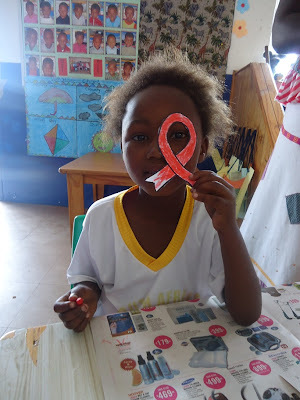 BUT… I ate a full dinner – a HOT dinner, I have blankets to keep me warm, books (and the ability to read) to keep me entertained, a tile floor, a bed, a sturdy place to live, and the knowledge that I will probably never have to live in such deep poverty. However, this is not about have’s and have not’s, and it is most definitely not about using extreme poverty as a gauge of my own fortune. This is about enjoying the simple things of life that many of us so often take for granted. It is about counting our blessings rather than our misfortunes and giving thanks for the things we do have even in light of things that we don’t. This journey is going to be a very interesting one and I feel that my eyes and heart will be opened in ways I never imagined. 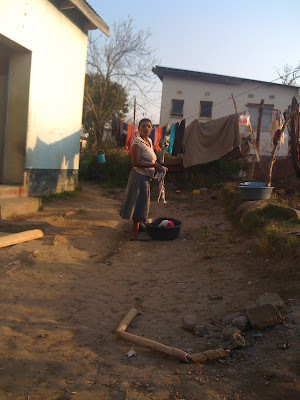 Thank you for walking with me as I explore life in Mthatha. It means a great deal to me. Now, the moment you’ve all been waiting for… PICTURE TIME! Mountains on the way to Mthatha (view from the plane). Country-side getting closer to town. Don't you love how colorful the houses all are? Bread that Sarah and I picked up to take to iTipini. A little off-roading short cut we took!